Competition closes 16th September 2018. The winner will be chosen at random by the contributing brands and their choice of winner is final. 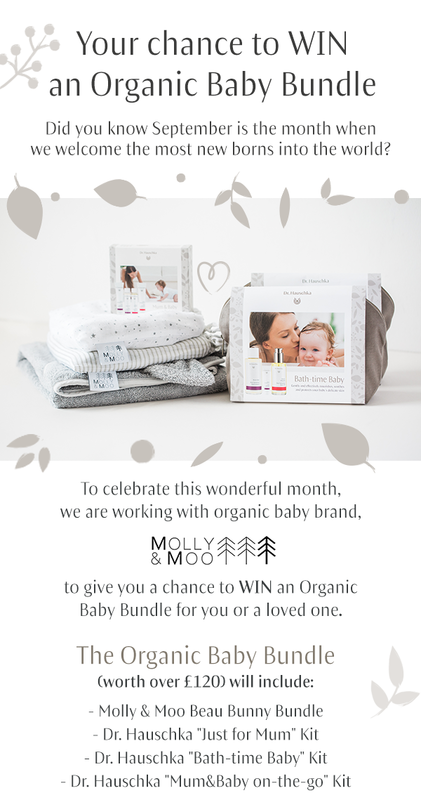 By entering into this competition you agree to be subscribed into the Dr. Hauschka UK and Molly & Moo email database to receive special offers, discounts and brand information. You are free to unsubscribe from both databases. Prizes given are subject to availability and may vary at the time of the competition closing.